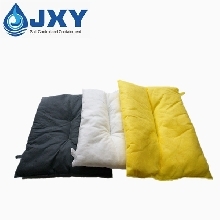 Oil Spill Absorbent Pillow is ideal for oil spills that are concentrated in a single location. 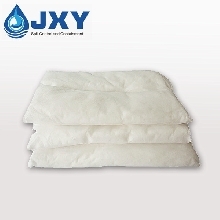 Featuring high absorbency material, these pillows are able to quickly absorb large amounts of oil. 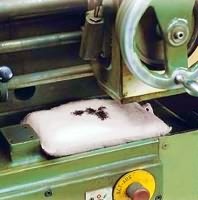 Oil Only CushionsIdeal for use with drip pans under leaking / dripping machinery, use with pads / socks for larger spills.1) Manufactured from hydrophobic materials, our cushions will absorb oil and hydrocarbon based products whilst repelling water.2) An extremely versatile product. 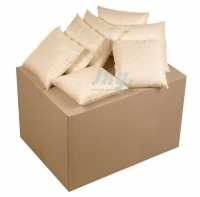 Use as part of a spill control plan, spill containment or for oil clean up off water.3) Make a wall out of cushions in large spill situations.4) Use in conjunction with a drip pan for oil changes, leaky joints, etc.